An emergency distress beacon should be made mandatory on all commercial fishing vessels in Canada within two years, according to a Senate study released Thursday that looks at Canada's search and rescue system at sea. "We believe the time has come. They are mandatory in other countries. It should be mandatory here," said Sen. Jim Munson, a member of the Senate fisheries committee, which issued the report. The one-use device looks like a walkie-talkie and is called an emergency position-indicating radio beacon, or EPIRB. When engaged it sends a distress signal to a satellite, and is often outfitted with GPS that can help rescuers locate the vessel. "We strongly believe EPIRBs will cut down, reduce the search time, but most importantly save lives," committee chair Sen. Fabian Manning said at an Ottawa news conference. Manning said the distress beacon is on board less than half the small and medium-size fishing vessels in Canada — the ones most likely to get into distress. The report said each EPIRB costs between $250 to $1,000. "In this day and age, as we talk about where every life counts. 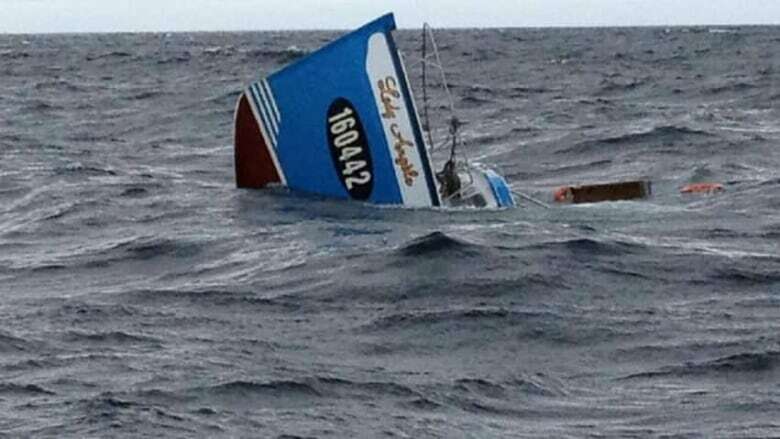 The purchase of these distress signals, it's not very much for a local fishermen, I don't believe, or somebody working in a yacht or pleasure craft," said Munson. The Senate report, called When Every Minute Counts, also recommends moving the Canadian Coast Guard out from the Department of Fisheries and Oceans to Transport Canada, which is responsible for regulating the safety of vessels. The senators said the coast guard needs more financial and operational independence. It should become a separate agency reporting to the transportation minister, as opposed to the deputy minister at DFO. "It's such an important part of Canada, the delivery of service to Canadians. Right now it's operating over to the side. We believe it would be more effective and more efficient if it was operating on its own," Manning said. The senators said coast guard planning should be expanded from a five-year horizon to 20 years. 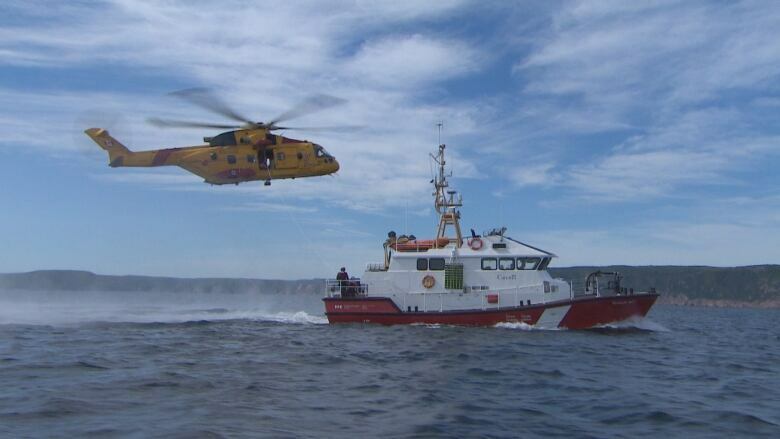 The Senate report recommends a pilot program to test using commercial helicopter search and rescue in Newfoundland and Labrador, and the North. The report suggests a private company could offer round-the-clock service. "Our goal is to reduce search times, and we believe that having a private contractor there with 24-hour coverage, seven days a week, 365 days a year will give us a great opportunity to reduce response times," Manning said. The Senate report also says the "world class" Canadian Coast Guard College in Sydney, N.S., is being underutilized because it is too far for potential trainees from the North and West Coast of Canada. It recommends carrying out more training in the North and West Coast. "We heard from the West Coast there is a pent up demand for this type of training, so I don't think that creating a program on the West Coast would detract from the overall pool," said Sen. Marc Gold. "It would simply respond to a need that the current structure does not meet." Coast guard sending 2 new lifeboats to B.C. despite 'desperate need' in N.S. "In no way shape or form are we talking about taking anything away from the operations in Sydney," Manning said. In a statement Thursday afternoon, the fisheries department thanked the Senate committee for their report. "The safety of those at sea is our top priority and we will be reviewing the recommendations carefully," the statement read. Sau Sau Liu, a spokesman for Transport Canada, said emergency position-indicating radio beacons are mandatory for many vessels, including commercial vessels of 20 metres or more operating in waters outside of a harbour. However, Transport Canada is working on new regulations which will require beacons on any commercial vessel, including fishing boats, operating beyond sheltered waters.